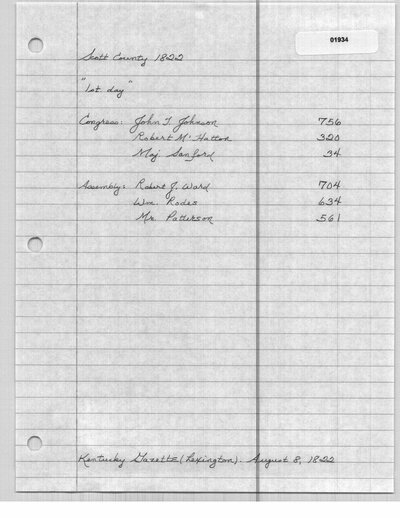 The August 8th Kentucky Gazette reports the 1st day returns: 756 votes for Johnson, 320 votes for McHatton and 34 votes for Sanford. The Weekly Messenger (Russellville, KY). August 17, 1822. Kentucky Reporter (Lexington, KY). August 26, 1822.